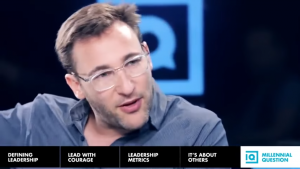 During an interview, Simon Sinek attempted to explain why we, as millennials, are so addicted to our phones and so determined to make an impact – and it’s recently gone viral. 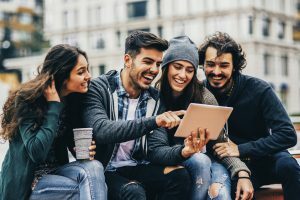 The Oxford English Dictionary defines the term ‘millennial’ as “people reaching young adulthood in the early 21st century.” The term itself has no link to any negative attributes like our supposed narcissism or obsession with social media. It simply defines when we became adults. I find it irritating that these negative attributes have been applied to us by people who do not belong to our generation such as Sinek and creators of programmes that portray us as zombies with eyes glued to screens. 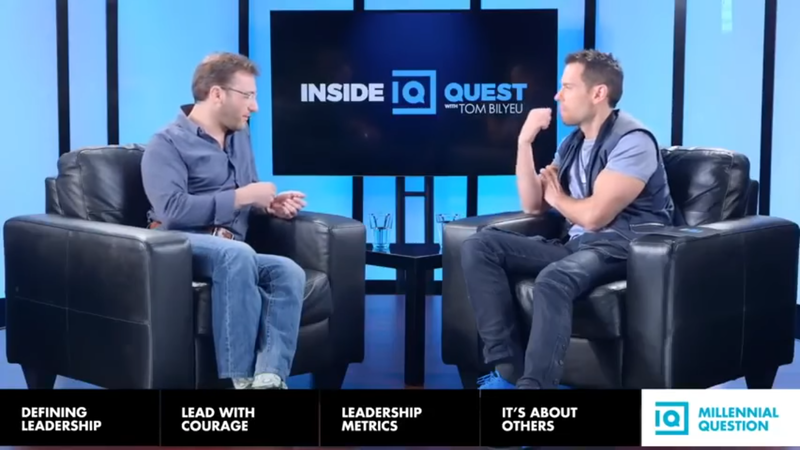 The 15 minute video of Sinek was taken from an episode of Inside Quest hosted by Tom Bilyeu who interviews those “who have achieved the amazing”. After watching the video, I did identify with some situations he described like texting someone whilst being out with friends. Yes, I do understand that this can come across as rude to the others at the table however it is extremely likely that I am sharing the table with other people my age. Therefore, it is not unlikely to assume that they will be doing the same or won’t be bothered by my actions. We wouldn’t start texting someone in the middle of a conversation with grandma because we know that she would find it rude. As millennials, it’s fair to state that we don’t know what it’s like living without technology because even during childhood, adults around us were likely to have used it. 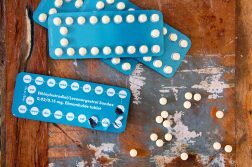 Those who are making judgements about our generation have experienced life without it and are likely to have witnessed society slowly become more dependent upon it. What bothers them is unlikely to affect us in the same way. Sinek goes on to the inevitable theme of Technology. He explains that our dopamine levels increase when we get a Like etc. and this “feels good”. It’s fair to say my heart does skip a beat when Domino’s text me about 2 For Tuesdays but that’s more about pizza than getting a text. Also, we don’t solely have phones to communicate with people. I do a lot of my organisation on my phone’s calendar so I don’t have to have a filofax like in 27 Dresses. Sinek goes on to claim that we don’t know how to form deep relationships because we change ourselves to gain approval from friends. Sinek is simply making observations but again, I don’t think you can be making claims like these when you are speaking as an outsider. He does not know when the peak time to Instagram is but he is happy to claim that all of our relationships are superficial. If anything, our relationships could be stronger because social media allows us to keep in touch with others more consistently and that none of us have lived in a world without technology could allow us to bond further. He then depicts us all as Impatient. Netflix, Amazon Prime and Tinder have made things in life instantaneous. Oh Good God no! We don’t have to wait a week to watch the next episode! Shock horror, I can order a charger today and I’ll own it tomorrow! You get the gist. This is just a weak insult because Netflix was founded by a 39 year old and Amazon by a 30 year old. 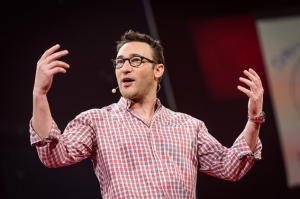 It’s not our fault that people who are a similarly age to Sinek himself have supposedly ‘corrupted’ our lives. The last theme was Environment. He claims that none of us will ever find joy because we’re too impatient, too addicted to our phones and too expectant upon having an impact and being successful. However, is it really as bad as he makes it seem in the interview? Surely there are worse things that we could aspire to be than successful? Contrary to Sinek’s description, I believe that we millennials have been inspired and encouraged by our parents from a young age. New technology has helped us to create, arguably, stronger friendships through its ease of communication and the fast-paced nature of our world allows us to spend more time doing things that we truly enjoy. 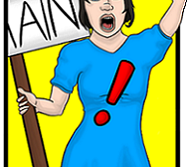 Sinek claims that we will never find joy in our lives… really?